I came across this delightful site purely by chance. 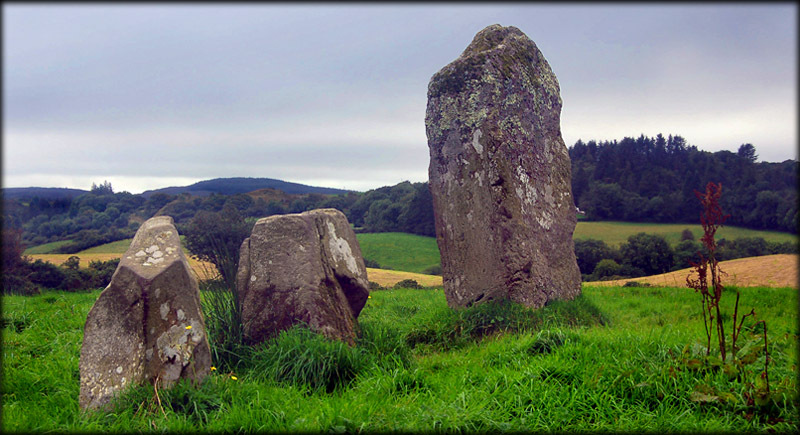 I happened to be in the vicinity of the stone circle at Glantane East but with only a brief period of time to locate it, and had literally given up looking, when suddenly I saw these stones in a field to my right. I parked the car, climbed the metal gate and walked over to the stone row. 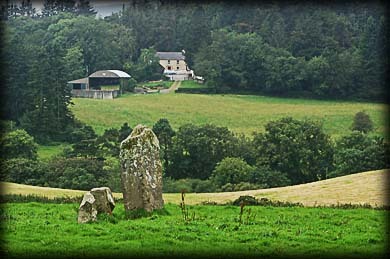 The location was fabulous; I think the stones are aligned in a northwest-southeasterly direction. I plan to visit this site again with a compass to check the alignment. 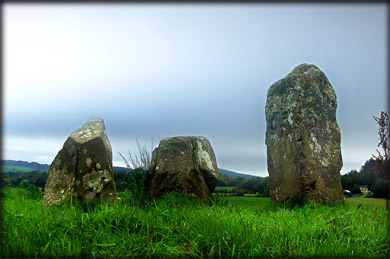 Hopefully I will also visit some of the other great megaliths to be found in this area. Situated: From Millstreet head south on the R582 for 5 kilometres. Take the next left to the T junction, then take a right. After the third left keep looking right, you should see the row in a field behind a gate on your right. Discovery Map 79: W 2783 8311. Last visit Aug 2008.